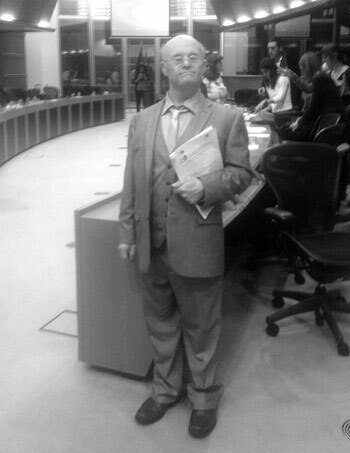 My journey to Brussels to the European Parliament supported by Cheeverstown House. 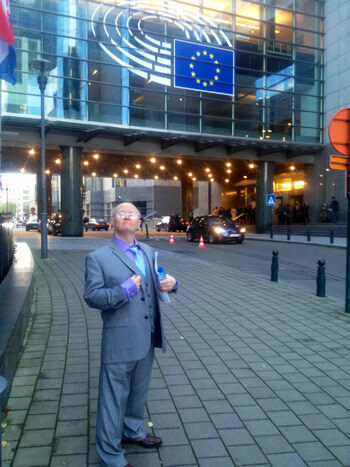 I travelled to the EU parliament in Brussels on November 17th 2015. The conference was organised by Inclusion Europe and it concentrated on Article 19 of the United Nations Convention on the Rights of People with Disabilities. The focus of the conference was on supporting people with an intellectual disability to live independent lives in their communities. I listened to presentations by MEP Mr Richard Howitt about individuals and the transitions from institutional to community-based care, and successful community living for people with disabilities was discussed. Using the person-centred planning process to plan a new life and circle of support for a life of your choosing was the key area speakers addressed. It was evident to me that participation of all citizens is a key element to create inclusive societies. Countries represented at the conference included Spain, Croatia, Holland and The United Kingdom. Self-advocates spoke on promoting independent living and supported decision making through the person-centred approaches. The Conference also included the policy input of experts in the field and on good practices collected by partners in the New Path to Inclusion Network, a project in which Inclusion Europe has been involved for the past three years. The New Paths to Inclusion Network is a European project bringing together organisations, service providers, universities and research centres from 13 European countries and Canada. Their overarching objective is to facilitate the development of inclusive and person-centred support services for persons with disabilities empowering them to lead self-determined lives within their communities. I addressed the parliament and spoke proudly about working towards achieving my goal of living in my own apartment in 2016. I made several networks and connections while in Brussels and took a lot of photos. I was extremely proud of myself and the success of the day at the parliament and look forward to visiting Brussels again. My name is Joe Feehily. I am a 48-year-old gentleman. I am on my way to living in my own apartment and am supported by staff along this journey. I am a DJ, an employee and a volunteer. I have many interests including wrestling, trips to the cinema, socialising and music. I also present my own radio show in Ballyfermot on West Dublin Access Radio.